I love lamb, in roasts, as chops, Kofte, and last year I made an especially delicious Merguez. My absolute favorite way to season it is the way I did those chops, with rosemary, garlic and kalamata. On the train ride home, I was day dreaming of food (a regular occurrence!) and it struck me – why not make a sausage using those very same ingredients? Up to now I’ve always been following a recipe for sausage but I’m feeling confidant enough to give this original recipe a go. Using the larger grinding plate will give a more rustic appearance and mouth feel. Also, you’ll notice I don’t add the olives with the grind as I don’t want a purple sausage but rather want distinct bits throughout. 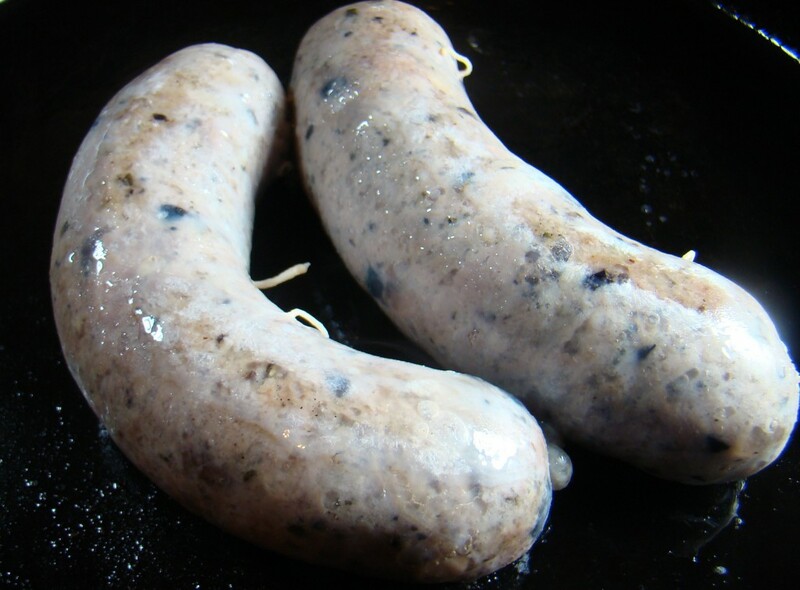 As always with making sausage – sanitation is paramount! Make sure your hands, knives, cutting boards and grinders/stuffers are all pristinely clean. I use very hot water and a good glug of bleach in cleaning solution. Also – keep you meat as cold as possible through the process. I have found that grinding & seasoning in early in the day then chilling the mixture, and putting the grinding/stuffer attachment in the freezer for several hours gives me the best result. Grind mixture through coarse plate over a bowl set in ice. At this point you can either stuff the sausages or, as I did, return it to the fridge to chill thoroughly. This gives you the chance to clean up after the grind and rechill the auger / stuffer. Stuff into prepared hog casings. 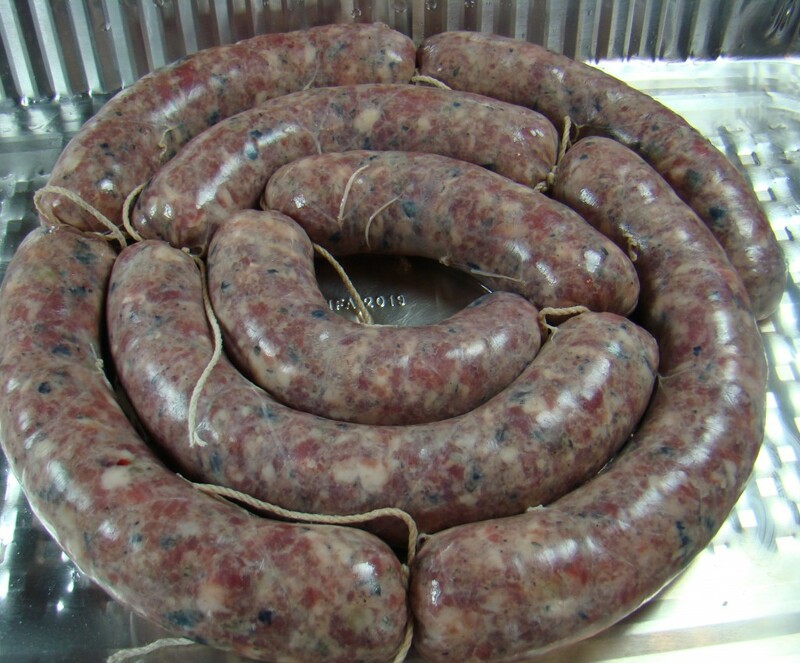 Tie off the sausages into about 8″ links. Refrigerate or freeze until ready to cook. 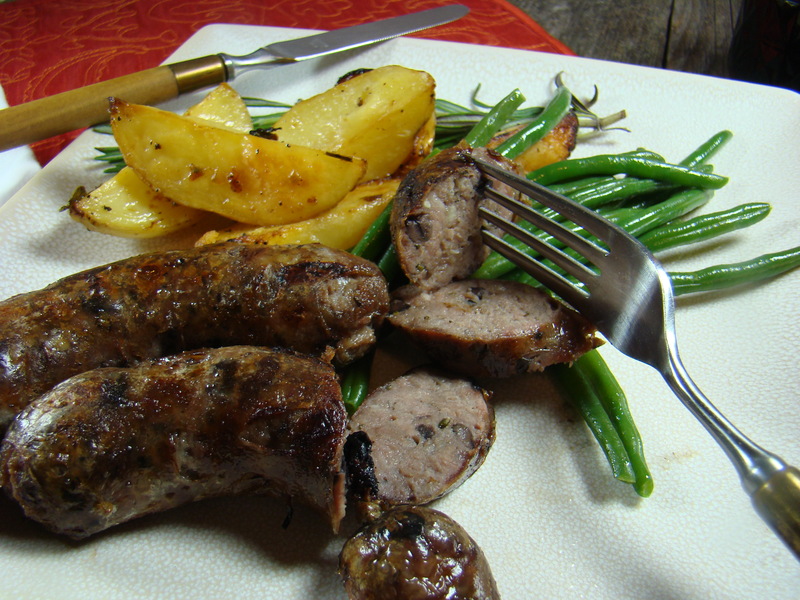 Gently saute or roast the sausages to an internal temperature of 150F or 60C. I served this with garlic green beans and greek potatoes. Eat Well & Keep Digging! It would be a delicious meal in any event I’m sure! These really sound delicious, David! As you’ve probably guessed, we’ve always seasoned our lamb with garlic, rosemary, and olive oil. 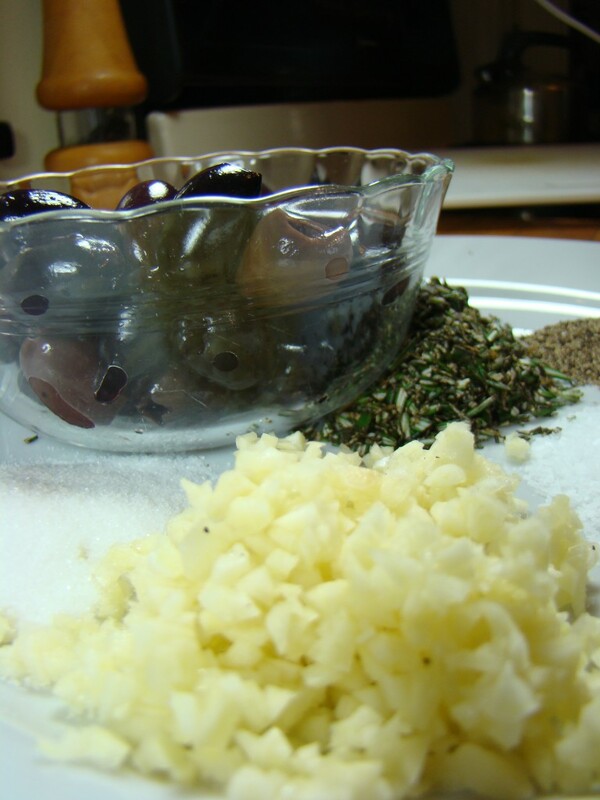 Your adding kalamata olives is a great idea and makes your sausage really quite special. I cannot wait to give ’em a try sometime this Summer. John, when I make chops I usually put the garlic, rosemary and olives in a food processor and whizz up a purple paste that I marinate the chops in. I figured the same flavor profile would work in a sausage and, thankfully I was right! This sounds good but, of course, getting lamb here is nearly impossible and terribly expensive. Rosemary and garlic sounds wonderful with it. I don’t normally use olives for anything (except pasta salad) but I could see that being good. Becky – it was good. Really good! I might think about a little lemon zest in there as well… The biggest thing for me was creating a new sausage. I think once you get the meat/fat/salt ratios fixed, you can do almost anything you like! I first enjoyed lamb sausage when I was a kid. With green beans and potatoes, heaven. It looks so yummy, dang now I am hungry. Spencer -my evil plot is working! Seriously – it is so easy and so rewarding I encourage everyone to make their own. It is so superior to store-bought. I don’t think I will attempt the sausage but I think all the ingredients would be delicious turned into burgers. That would also be delicious Karen. Maybe work some feta in there too!